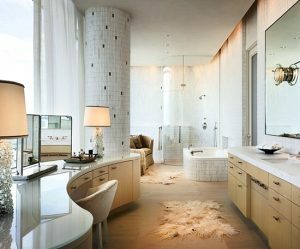 Aside from kitchens, buyers love bathrooms, specifically the master bath. There are great, easy ways to instantly make your bathroom appeal to buyers. 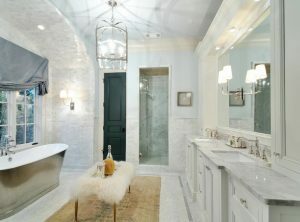 The number one key to do this is to make your bathroom feel like a ‘spa,’ so that when a buyer walks in, they feel as if they have just walked into a luxurious hotel bathroom. People spend most of their time in the bathroom. People love to take a fresh shower before work and come home and take a hot bath afterward, to unwind from their day. The bathroom is usually the most ‘sacred’ room in a home. The reality is that most homeowners could change some things in the bathroom. When selling your home, you do not need to do a complete renovation to make a difference in your bathroom. Aside from the fact, that it doesn’t usually reap much profit, considering the amount of money you’ll put into re-modeling. One decorating trick is to use all white; this instantly makes the bathroom feel larger and nicer. Here are some great ways to make your bathroom appeal to buyers without breaking the bank. The removing or hiding of everyday toiletries and other miscellaneous bathroom items will make all the difference. Even a friend or houseguest doesn’t want to see them, so certainly, someone looking to pay hundreds of thousands to purchase your home doesn’t either. It can also be very awkward for them to see certain products, and you don’t want to make the potential buyer uncomfortable. Remove all items bathroom maintenance. These things include toilet cleaners, trash cans, cleaning products, and bath mats. Be sure to also put away spare toilet paper rolls. 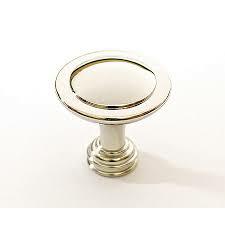 These do not help with the ‘spa’ effect that you are trying to achieve. Buyers want to see how much storage is in the home, and especially in a bathroom. They will be opening your medicine cabinets, cupboards, and cabinets under the sink. Space sells. Equally as important, is making sure that anything that is still in these spaces are organized neatly. Store your everyday items in a pretty bin, that you can take out in the morning and at night. You can easily find these organizing bins at any department store. These upgrades might include repainting the walls, replacing leaking and worn taps, updating the cabinet hardware, installing new light fittings and updating towel bars. If you don’t need to do this, congratulations, because most sellers do! There is no sense in upgrading or adding anything into your bathroom if i t is dirty. Everything in the bathroom must be clear of dirt, dust, and other debris. This creates the impression that you maintain your house. A bathroom can be instantly enhanced just by adding new, soft towels. Towels never look the same when washed, so it is important that you buy new ones; you can use your old ones for everyday; only put out the towels that you have never used. Flowers make an instant impact, as they add instant color. Don’t go crazy with the flowers. If you have a small bathroom, just one vase is enough. 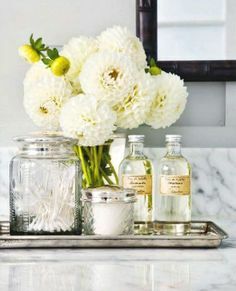 If you have a larger bathroom, consider adding two vases; orchids also are always a good choice, especially since you won’t have to re-buy them throughout the selling process, as they last for quite some time if you take care of them. Hi! My bathroom is pretty small, and right now I have a bathroom organizer that goes between the toilet. Should I remove this when showing my house? I feel like it shows buyers that they have that spot for storage, should they choose to do the same. I would go ahead and remove the organizer shelves. The buyer will likely determine themselves if they wish to have one. If you do not remove it before you show the home, it makes the bathroom appear ‘cluttered’ which is never what you want the home to look like when selling. Instead, be sure all of your cabinets and drawers are cleared out so that they can focus on what storage you do have, rather than what storage they ‘could’ have. Keeping it in the bathroom draws to the fact that there is no storage.